“Wittenborg University is not just timetables, lessons and exams – it is a community of people working together with the same aims and ambitions. This community includes students, graduates, teachers and guest lecturers. It includes support staff, a housing team, an immigration team, a student union, and a medical consultancy. The school has an association of guest lecturers and advisors from business and industry, and it maintains an active list of partners in business and education, at home and abroad. Santosh Aryal comes from Hetauda, Nepal. He completed his education up to university level in the same city. In search of better education, Santosh came to Wittenborg University in the Netherlands to top up his bachelor's degree. Here he studied International Business Administration. He also completed his internship at Wittenborg University and, after completing the IBA degree, he began working as the Student Register in 2008. 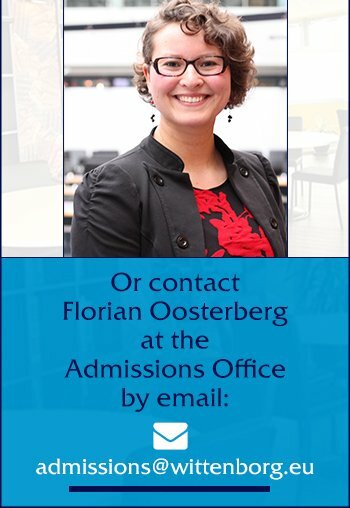 Wittenborg is small, compact, and offers great value in its programmes and student/staff ratio. For further information: Fill in this form with all your questions!